The judges have weighed in, and our community has voted! 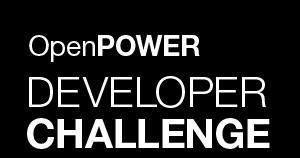 Go to the OpenPOWER Developer Challenge gallery to congratulate the winners and check out all of the awesome submissions. Thanks to all OpenPOWER Developer Challengers and Congratulations to our Finalists! Sign up and tune-in here to watch the announcement of Finalists via livestream from the IBM Edge conference in Las Vegas, Monday 9/19 at 4PM EST. Please Note: SuperVessel instances used in the OpenPOWER Developer Challenge will be decommissioned on 9/23, so please back up any work and data from your instance(s) by 9/22. You may continue to access the SuperVessel Developer Cloud with standard user instances and associated quotas. Good news! We’re extending the hackathon deadline to Tuesday, September 6th at 9:00PM ET - that’s almost 5 extra days to build your OpenPOWER application! Please remember you can update your submission anytime between now and the new deadline. If you need any questions answered, head to our Slack channel or write us at support@devpost.com. We can't wait to see what you build! Final call: Submissions close on Thursday!! Just a final shout-out that you have three days remaining in the OpenPOWER Developer Challenge. Submissions are due September 01 before 11:45pm ET. We're here to help. If you have any questions about the hackathon, post on the discussion forum or emailsupport@devpost.com and we'll respond as soon as we can. 1 Week Left! Get to know the submission requirements. We've reached the final week of the submission period - all Submissions will be due by Thursday, September 1st at 11:45 PM US EST! Now's a great time to familiarize yourself with the submission requirements (see below; they're also available on the rules page). The requirements are different for each track (see A, B, or C below as well as the General Requirements for all tracks under D), so take a look and let us know if you have any questions on Slack. The Judges are waiting! Good luck! T-minus 2 weeks and counting... hope your projects are going great! Reminder - if you're on-track to submit your project for judging by the deadline, we'd like to extend an invitation to an exclusive Hangout where you'll become among the first to know the details about upcoming OpenPOWER servers with NVIDIA's NVLink technology connecting the POWER8 processor to NVIDIA Tesla P100 ('Pascal') GPUs. The high-speed NVLink from CPU:GPU removes the PCI-E bottleneck you're used to, and OpenPOWER Developers will be the first to tap into this super fat data path! Sign up here for your invite! 3 weeks left + your invitation to an exclusive online event! We hope all is going great as you complete your project and prepare your Submission for the Challenge. We've really enjoyed chatting with many of you on Slack and hope things are going great with your projects - they're sounding very cool! As we reach the final month of the Challenge we'd like to offer you an opportunity to meet 1-1 with an OpenPOWER technical expert for Q&A, guidance or trouble-shooting. Sign up here for 1-1 Office Hours. We can't wait to review your projects and meet the Winners at SC16. Tune in to our Hangout today at 5PM EST to learn how to use the XL Compiler to improve your performance to win the Open Road Test! Tell us how things are going and get all the help you need in Slack! We're all set to Hangout with the Xilinx team tomorrow at 5PM EST for a deep-dive and demos on using SDAccel in SuperVessel to make FPGA-accelerating your app a breeze. And tune-in Tuesday 7/26 at 5PM EST for a Hangout with the IBM XL Compiler team to see how you can easily compile and get the most of POWER8 performance for your app out-of-the-box. NVIDIA Hangout Replay + Hangout w/ Xilinx next Thursday! In case you missed the Hangout with NVIDIA on how to GPU-accelerate your app in SuperVessel, you can watch the replay here. And tune-in next week for a Hangout with the Xilinx team covering how to use the SDAccel Development Environment in SuperVessel, Thursday 7/21 at 5PM US EST. Howdy Challengers! Reminder that today at 5PM EST we'll Hangout with Bob Crovella, Solution Architect from NVIDIA, who will show you how to add GPU acceleration to your application in SuperVessel. See you there! More Hangouts, More Dates, More Slack! We had to move our Hangout on using AccDNN for Deep Learning on FPGAs to Thursday 6/7 at 9PM EST. Our apologies for this craziness – but don’t worry, you’ll be able to watch the replay from the same link anytime! Also, we’ll host a Hangout on Wednesday 6/13 at 5PM EST for a deep-dive on using GPUs in SuperVessel with the experts from NVIDIA. Be there! Please note a new Event link (here) for the Hangout on Wednesday July 6th (same date and time, just a new link). You'll meet the SuperVessel team and learn how to easily accelerate a Deep Neural Network using the SuperVessel AccDNN service. Hope to see you there! Hi Challengers! Mark your calendars - live Hangout on Wed July 6th 9PM EST will show you how to use SuperVessel's AccDNN service to FPGA-accelerate Deep Neural Networks, without RTL programming. And, coming soon - a Hangout with the experts from NVIDIA which will cover everything you need to know about using GPUs. We've been chatting it up on Slack - join us! Missed the Orientation Hangout? You can watch it anytime here. Hi and Happy Friday! If you were unable to attend our live Hangout today, you can watch it here anytime. Meet the experts and get a tour through useful resource and demos to help you get going on your Open Road, Spark Rally or Cognitive Cup challenge submission. Talk soon! Submissions are open! Get started today. Update- The Submission Period is open! You'll find instructions for getting started and you can now chat with OpenPOWER experts in our Slack channel. Don't forget to attend the live Google Hangout on June 10th to take you through everything you need to know about participating in the OpenPOWER Developer Challenge. We now have 3 different ways to win - and 3 grand prizes! Sorry, everyone! We sent out the wrong link for our live Google Hangout on June 10th. Make sure you RSVP and attend as we'll be walking through everything you need to know about participating in the OpenPOWER Developer Challenge including the NEW Cognitive Cup and updated Accelerated Spark Rally tracks. Meet the technical teams from OpenPOWER who've been working to prepare your development environment and ask away - we'll have time for Q&A. If you can't make it, don't worry, we'll post the recording here. Stay tuned - more soon. Have a great weekend! Challengers - save the date! We're hosting a live Google Hangout on June 10th to take you through everything you need to know about participating in the OpenPOWER Developer Challenge including the NEW Cognitive Cup and updated Accelerated Spark Rally tracks. Meet the technical teams from OpenPOWER who've been working to prepare your development environment and ask away - we'll have time for Q&A. If you can't make it, don't worry, we'll post the recording here. Stay tuned - more soon. Have a great weekend! Challengers, we realized that we need a little more infrastructure in our NY Data Center for you! Please excuse our delay - we're working around the clock to get everything ready. Stay tuned! We will post an update here to let you know when the submission period officially opens SOON.